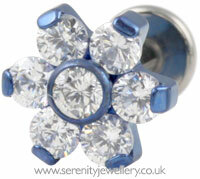 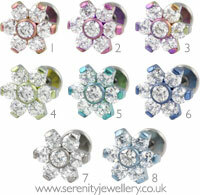 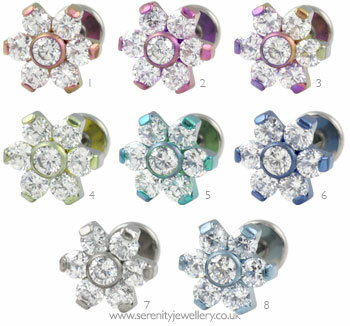 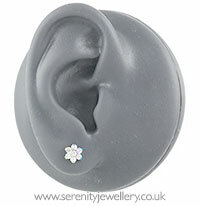 Hypoallergenic internally threaded titanium labret studs with 6mm screw-in flowers and 4mm fixed disks on the back. 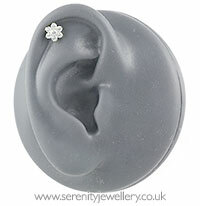 Each flower has six clear crystal petals and a crystal centre. 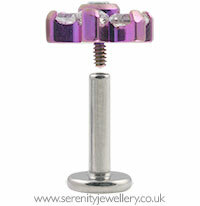 Internally threaded labrets have no risk of exposed threads catching or tearing the inside of your piercing making them particularly good for new or irritated piercings.